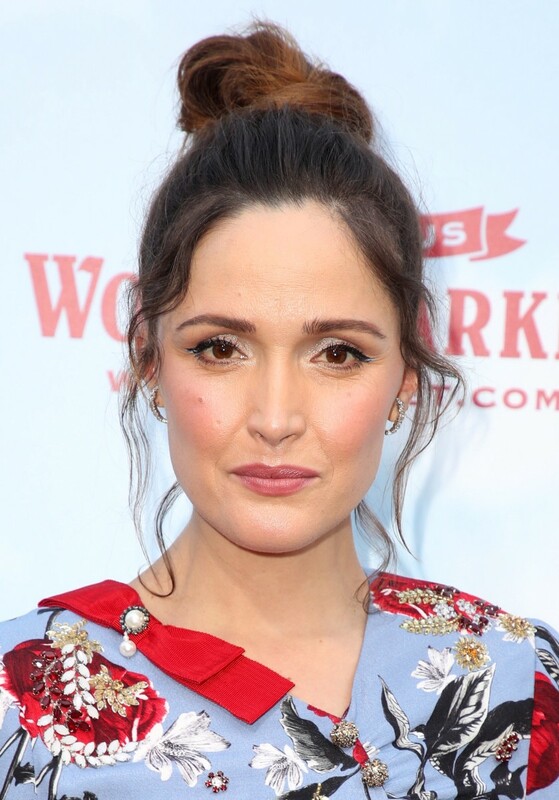 Award season may be over, but the beauty inspo hasn&apos;t stopped! While the Oscars and BAFTAs were going on, I&apos;ve been keeping track of the best hair and makeup looks on all the OTHER red carpets. So let&apos;s get caught up on the glam—from Lais Ribeiro&apos;s lit-from-within skin to Alexandra Daddario&apos;s mesmerizing eyes. Lais Ribeiro at the 2018 amfAR New York Gala. Close-up of Lais Ribeiro at the 2018 amfAR New York Gala. Is Lais the prettiest person you&apos;ve ever seen or what?! 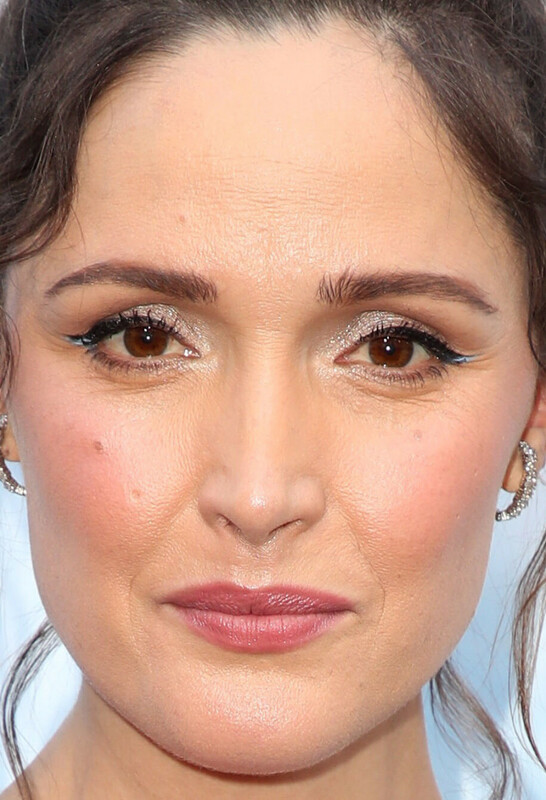 I&apos;ve always been confused by the nose-highlighting trend, but seeing it on her, I get it now. Her glowing skin, rose lipstick, soft brows and winged liner are super-gorgeous. Alexandra Daddario at the 2018 amfAR New York Gala. Close-up of Alexandra Daddario at the 2018 amfAR New York Gala. Alexandra made her already striking blue eyes even MORE captivating with smoky blue liner all the way around. I think this works, without feeling heavy, because her skin is fresh and her hair is loose and soft. Pretty lip colour, too! Hailey Baldwin at the Tom Ford fall 2018 show. Close-up of Hailey Baldwin at the Tom Ford fall 2018 show. I don&apos;t know why Margot played it so safe at all the awards shows, when she could&apos;ve been wearing creative makeup like this! The green liner, raspberry lip stain and soft wash of rose shadow are matchy-matchy to her dress, and I love it. It&apos;s also nice to see her hair up for a change. Selena Gomez at the Coach fall 2018 show. Close-up of Selena Gomez at the Coach fall 2018 show. 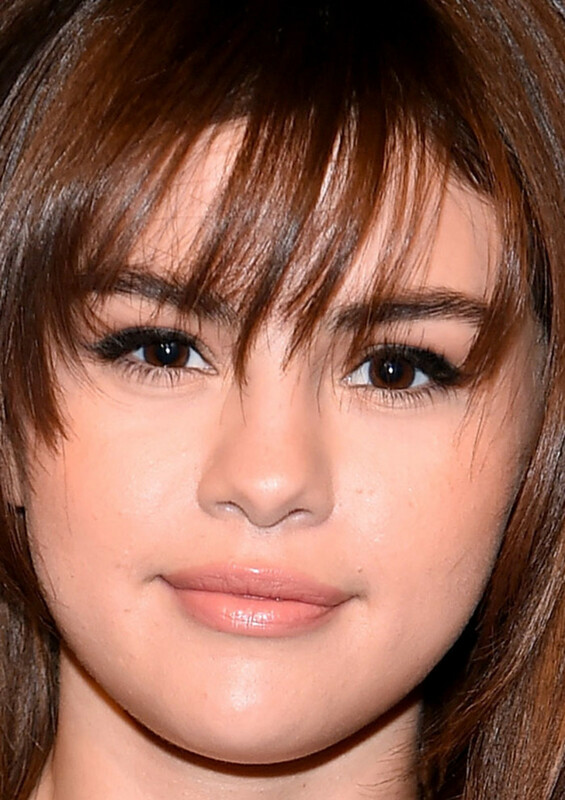 So this hair is definitely fake, including the bangs—but it&apos;s great to see a softer side of Selena, after the edgy, rooty blonde lob that she debuted at the AMAs. Fluffy lashes, strong liner and peach lipstick complete the look. I&apos;m so happy Dakota has bangs again, and a slightly lighter brunette! This type of fresh, not-too-done makeup look is also what I love to see on her. Her freckles are visible, the cherry lip colour is stained-on, and her lashes are natural but defined. Exactly how I&apos;d want to look myself. Leslie Mann at the 2018 Directors Guild Awards. Close-up of Leslie Mann at the 2018 Directors Guild Awards. Leslie looks so fresh and glowy. I love her hair down, just like she had it at the Oscars, and her warm dark blonde colour is perfection. 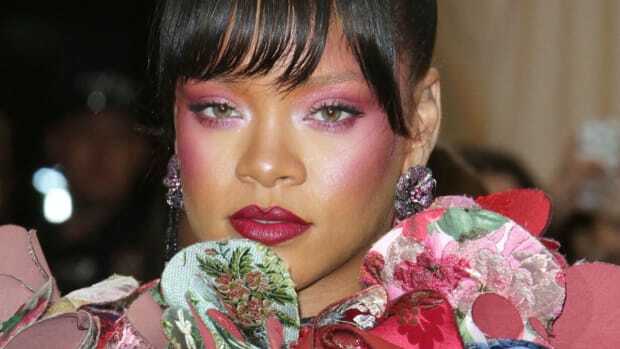 Not many people would look this good in baby-pink eyeshadow, blush and lipstick! Lucy Hale at the 2018 amfAR New York Gala. Close-up of Lucy Hale at the 2018 amfAR New York Gala. Lucy was BORN to wear a red lip. With a slightly messy updo, long lashes and bold brows, the effect here is so feminine and romantic. Normally, I don&apos;t love false lashes, but these are fine (at least from this angle)... I would&apos;ve put the blush on the apples of her cheeks, though. Gigi Hadid at a 2018 Maybelline x V Magazine party. Close-up of Gigi Hadid at a 2018 Maybelline x V Magazine party. Lid space for days! Gigi played that up with barely-there brown shadow, defined upper lashes and TONS of illuminator. Who says you need dark colours to make a dramatic eye statement? She really has the best brows, too. How do we feel about Rose&apos;s cat eyes? I think the little baby blue flicks are really fun with her whimsical dress and top knot! While her brow pencil is showing in a couple spots, I&apos;m a fan of the sparkly white shadow, rosy blush and matching soft lipstick. Nina Agdal at the Stuart Weitzman fall 2018 presentation. Close-up of Nina Agdal at the Stuart Weitzman fall 2018 presentation. Nina combined a few different eye techniques here. At the inner corners, her tear ducts are emphasized with sharp, feline points. On the other side, the charcoal shadow is all blended and diffused—yet it still retains a graphic, diagonal shape. Very fierce! I&apos;m glad she kept everything else understated, including her lashes. It&apos;s hard to believe Heather is 48! While her styling isn&apos;t super "on trend," she looks beautiful in this cool-toned makeup with textured hair. I especially like the muted berry lip colour and metallic pinky eyeliner. I would&apos;ve toned down the blush a tad! Emilia Clarke at the 2018 Centrepoint Awards. Close-up of Emilia Clarke at the 2018 Centrepoint Awards. 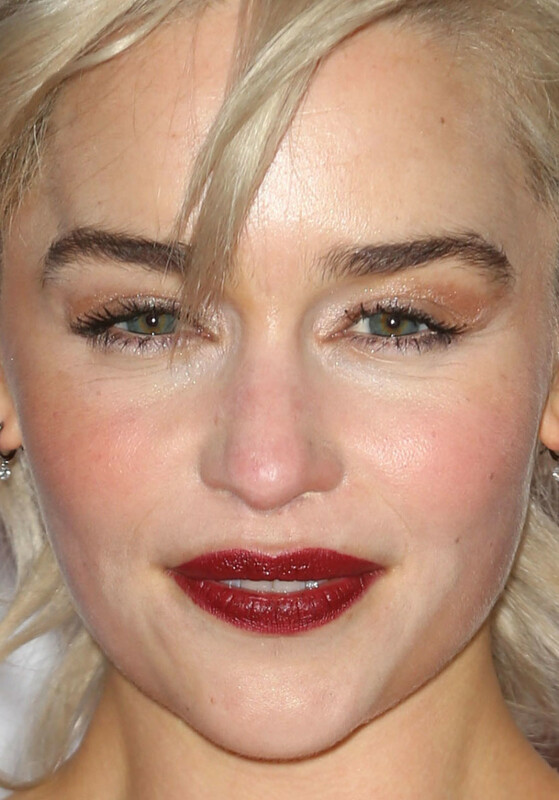 What I like about this Emilia look are her brows (always! ), her glossy deep red lipstick, and the amazing natural flush on her cheeks. Do I think it would be better if she were a brunette, not blonde? Yes—although just making the hairstyle neater would help. Martha Hunt at the Zadig & Voltaire fall 2018 show. Close-up of Martha Hunt at the Zadig & Voltaire fall 2018 show. Martha is proving that skinny black liner in your waterlines, all the way around, can instantly make a look. 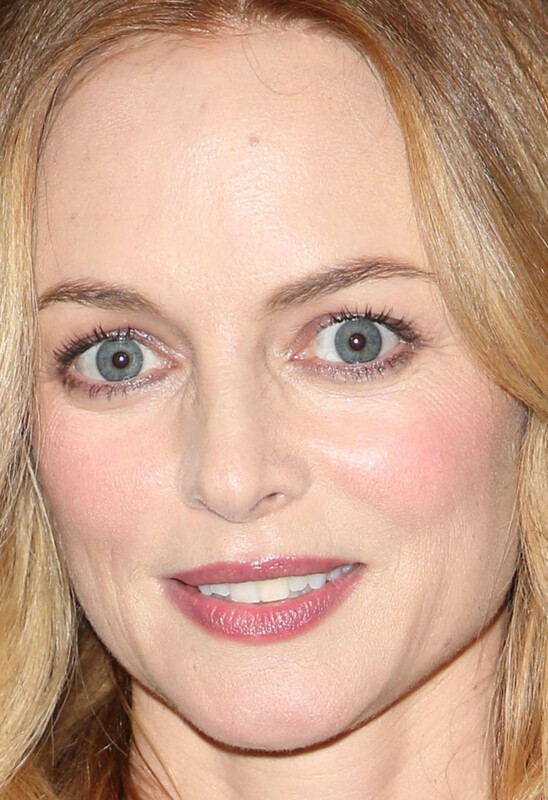 I like it here because everything else is casual, so her eyes really pop. (Side note: Her teeth are so white!) I don&apos;t think the shine on her forehead is a faux pas like it once was. Sienna Miller at the 2018 amfAR New York Gala. Close-up of Sienna Miller at the 2018 amfAR New York Gala. Updo hairstyles tend to be boring, so I welcome anyone who gets creative... like Sienna with this headband/bun combination! I&apos;ve always loved Bardot-esque, face-framing bangs on her. Unfortunately, the skin finish lets this down a bit. She just needs more coverage to even out her ruddy undertone.